RD Builders has the experience to do all your building and remodeling needs. We have the tools and will travel! RD Builders, Inc. has been in business for over 10 years. The first four years, we were located in Virginia, near Smith Mountain Lake. While in Virginia we built over 40 projects, these projects consisted of new home construction, kitchen and bathroom renovations, and additions. 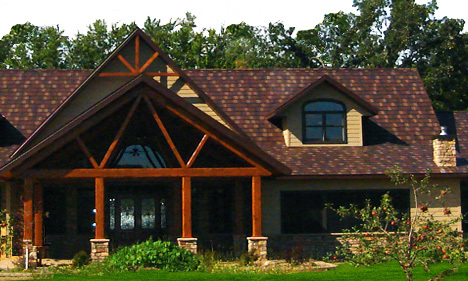 For the past 6 years we have been located in Eau Claire and have traveled west central and northern Wisconsin and as far away as central Minnesota; building a number of projects from basement renovations, to siding homes, to new home construction. 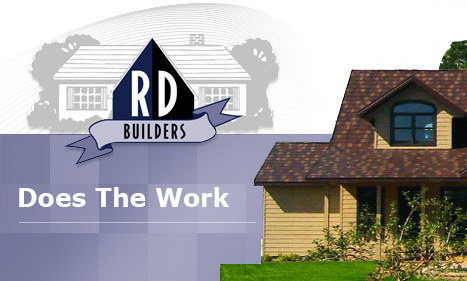 RD Builders is a small company with the resources to do the big time work. Whether it's building your dream home of any size or remodeling your existing home, we'll do the work. With the combined access of all the local sub contracting companies, we have the ability to get the products you want at the best price. So if you’re looking for a company that will do the work right the first time, and go to extreme lengths regarding the personal care of your building needs, choose RD Builders, we strive to provide the highest quality and the most customer satisfaction. To view our work, click here!